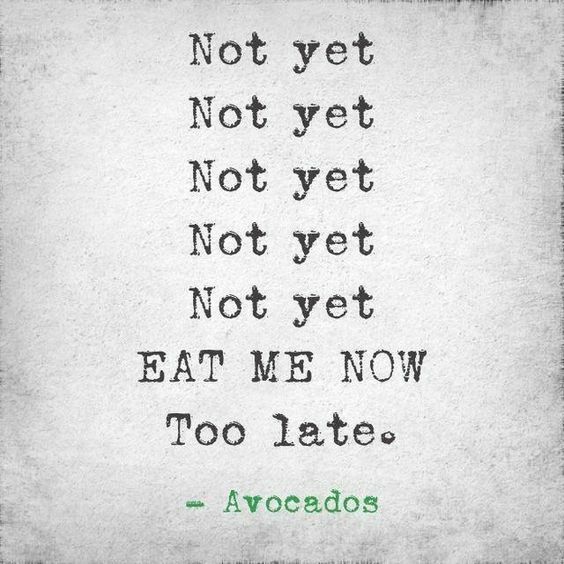 Two things led to this smoothie: 1) I had bought a bag of avocados that were just perfectly ripe (you DO NOT want to miss that) and 2) I needed some good fats ASAP to nourish my very dry skin. I turns out, that sunburned skin and a very long flight from California to Finland are not a great combination. 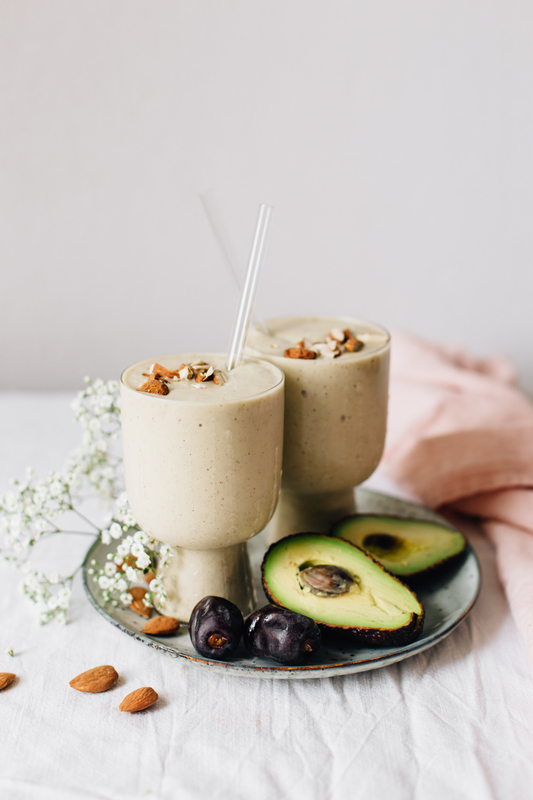 So as the skin of my face has literally been slowly falling off, I made this very creamy avocado smoothie with banana, almond butter, and fresh dates – a.k.a. all the good-for-you stuff to get that glow! 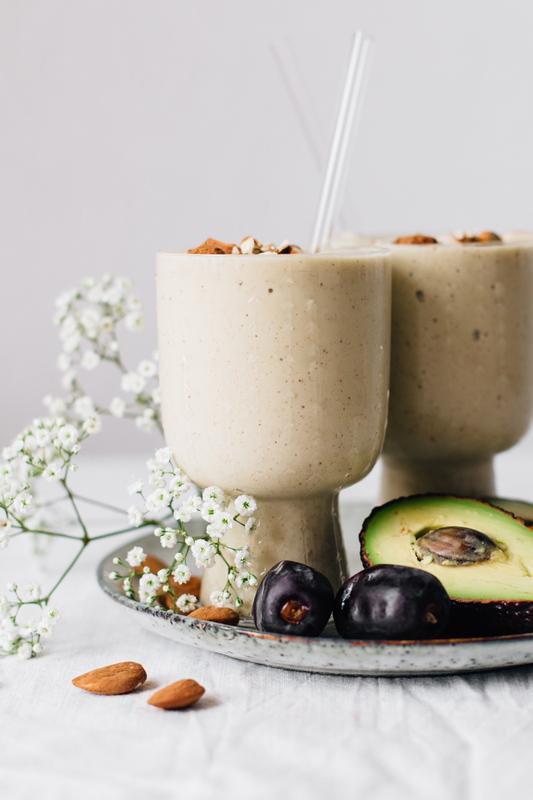 And with this recipe I also welcome you to my new series on the blog, called Smoothie Sundays! I tend to think that smoothies are too boring to post here, but I make smoothies so often and really love them, so I thought I’d share a few of my favorites here on a irregularly regular pace. And if you guys have any wishes around a method or a specific ingredient, leave a comment below and I’d be happy to come up with ideas for you! Before we get to the recipe, I’ve got a tip to share as well. During our trip I noticed how a lot of the restaurants and cafes were not serving plastic straws, but paper straws instead. And knowing how bad plastic is for our environment, I felt a bang in my heart, as I tend to drink my juices, sparkling waters, or whatever cold drinks with a straw, and often with a plastic one. Giving up on that plastic use doesn’t really require much of an effort, so from now on I’m going to be sipping only through a glass straw. As a bonus, glass straws are easy to wash (you can put them in the dishwasher too!) and they’re also much prettier than the plastic ones. The straws in the photos are from Granit, and they’ve got six straws in each box, but you can get individual straws from Nature’s Design too. So cheers to glass straws and to more environmentally friendly smoothie times! notes: I like mine quite thick, almost spoonable, so I add about 1 1/2 cups of almond milk. If you like your smoothie thinner, add more almond milk. If you feel like making this more of a dessert, a tablespoon of raw cacao powder would be divine. 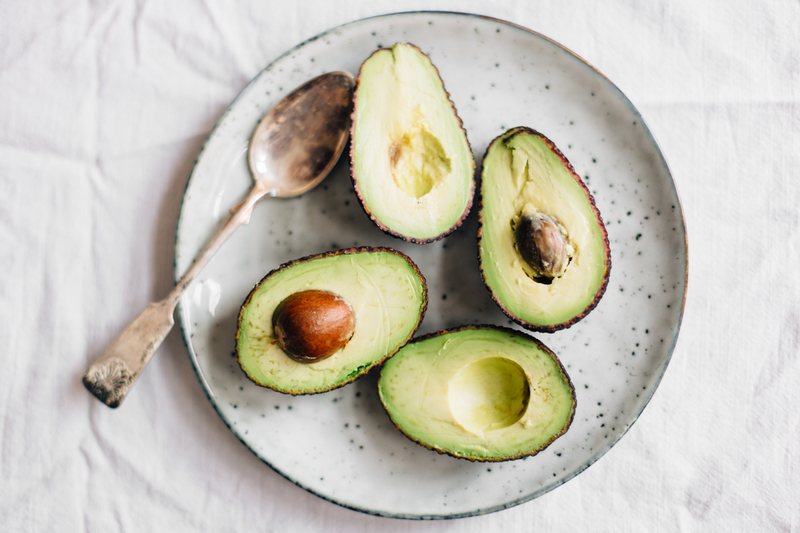 Scoop the avocado to a blender. Add all other ingredients and blend until smooth. Taste, and add more dates or almond butter, if you feel like it. Pour into glasses, serve and enjoy! Tagged beauty, breakfast, health tips, rawfood, smoothie sundays, smoothies, vegan. Green Power Hummus, Sun-dried tomato & White Bean Dip, Rosemary Fries and a Vegan and Gluten-free Chocolate Mud cake are on the menu for this veggie party! With crunchy asparagus, fresh spinach, sun-dried tomatoes and a lovely lemon and basil oil, this Spring Pasta Salad is great for a picnic! This is perfect for the warm weather we are having here! I love your idea of Sunday smoothies. This recipe sounds absolutely divine! Just wondering where you got your beautiful smoothie glasses from?